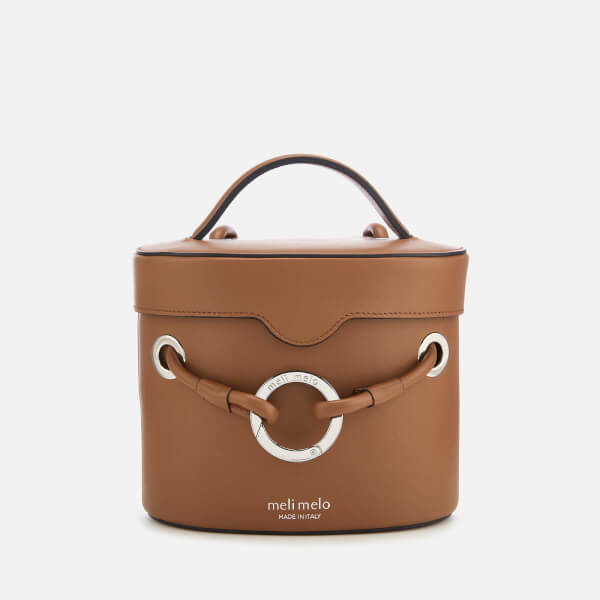 Tan leather ‘Nancy’ bucket bag from Italian accessories brand, meli melo. 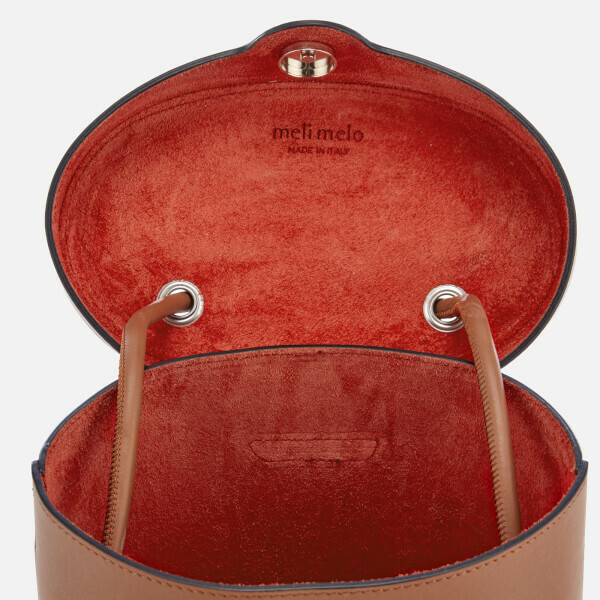 Presented in smooth, luxurious leather, the black cross body bag features a magnetic closure and a roomy interior lined with striking red suede. 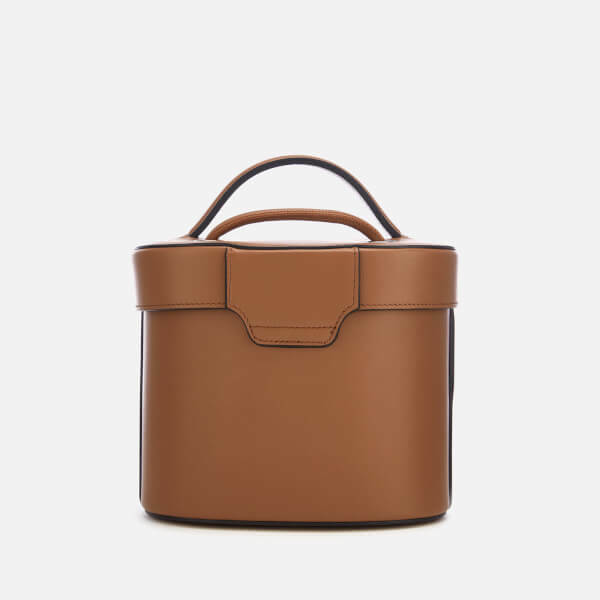 A top handle and adjustable cross body strap ensure multiple styling options. 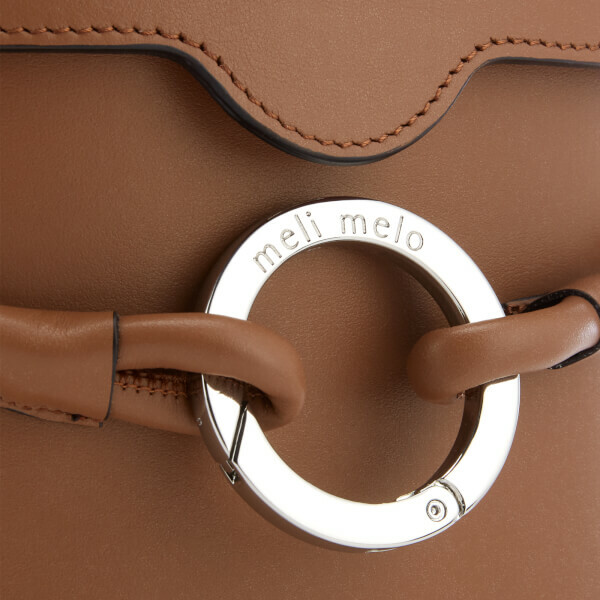 Signature ring detail and silver foil branding provide the finishing touch. Dimensions: H: 16cm x W: 18cm x D: 11cm. Handle Drop: 4cm. Strap Drop: 77cm.